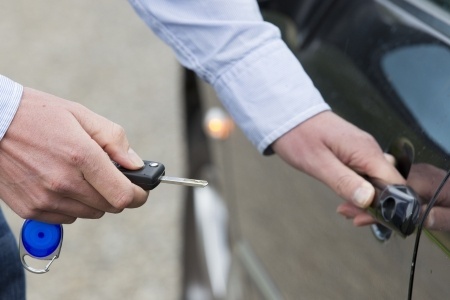 How to Keep Your Vehicle Secure | Car Couriers Inc.
You may think that simply locking your car’s doors any time you get out of it is enough to prevent it from getting stolen, but unfortunately that’s not always the case. Plenty of people who have been the victim of automobile theft have locked their doors before leaving the vehicle. Fortunately, there are more steps you can take to ensure your vehicle is always secure when you’re not behind the wheel. Maintaining your vehicle and ensuring it looks as new as possible it actually a good theft deterrent. This is because potential carjackers will assume that newer cars have built in alarms, and maybe even tracking devices installed. While a high-end vehicle can often draw the attention of carjackers, it can also keep them away because they know the odds of making off with it are incredibly low. Another great deterrent is taking your valuables with you, or at least keep them out of sight if you must leave something expensive in the car. From purses to laptops, any valuables you own should be kept either in the trunk, glove box, under a seat, or any other place that can’t be spotted from looking through a window. Finally, leave your car is an area that you know is as safe as possible. This isn’t always something you can do, but in general if you park your car in an area where other vehicles are parked and that has a lot of foot traffic throughout the day and night no one will be able to break into your vehicle unnoticed. Take advantage of these tips to ensure your car is always there where you left it and not in the hands of a carjacker.